It is with the greatest joy that I write this first post from the newly rebranded and re-energised Embrace. You may have noticed our new logo creep up on our social media accounts, but today is the day we launch our new website with everything you need to know about who we are, what we believe, and what we do. The most noticeable change is the drop of the ‘Cape Town’ from our name. Whilst Cape Town is where all the magic started, we have long since crossed the borders of the Mother City and are thrilled to include mothers and mother-supporters from all over South Africa. Our journey since our inception four years ago has taken many twists and turns. We have learnt a lot and have done more listening than speaking. We have had our assumptions challenged, our blind spots illuminated and we’ve eaten our fair share of humble pie. It has been a privilege to be on such a journey of learning, and we have only just begun! We believe that this is the time for prioritised focus on the needs of early motherhood. We have noticed, with great dismay, the trend of stepping over the mother to reach her baby. The notion of ‘expert knows best’ has bruised the confidence of new mothers right across our country. Instead of viewing new mothers as the deeply connected, highly motivated champions for their children, we often see their vulnerability as a weakness requiring fixing. At the best, our approach is well intentioned; at the worst it devalues and undermines the role of mothers, which has devastating consequences. On the other hand, we see motherhood as a galvanizing force. Mothers and mother-supporters have visceral connections to the many powerful moments of early motherhood: Pregnancy, childbirth, breastfeeding, the struggles and joys of the early years. We have seen moments of motherhood bring women together in meaningful and moving ways. Our country has a collective trauma of brutal segregation along race and class lines. Women have, and continue to be, deeply affected by this wound. We need to start listening to each other. We need to start seeing each other. The spaces of motherhood provide women with many shared experiences, and we’re hopeful for the ripple effects once women really start to connect, share and heal. As a movement for mothers, we hope to inspire, to mobilise and to spark special connections that ensure every new mother is embraced by her family, friends, community and service providers. We’re as much a movement for celebration as we are a movement for tangible change. Early motherhood is overwhelming, but it is also marvelous and there is much to mobilise around! 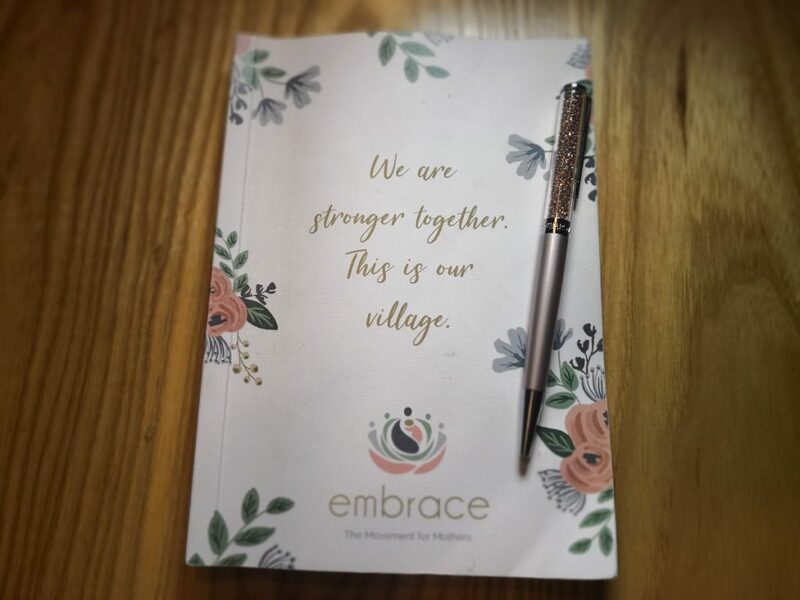 South African women are ground-shakers, and we’re honoured to provide a platform where we can all come together to ensure every new mother flourishes! Our website launch coincides with our official launch of Mother’s Day Connect! We believe that every mother deserves a compassionate birth experience. Whilst much of child birth has become medicalized, we believe fellow women can play a powerful role in showing sisterhood support for women going through the rite of passage that is childbirth. Mother’s Day Connect is an opportunity for mothers and mother-supporters to show up for new mothers in South Africa. We hope you will consider joining us! This is the year for mothers. We’re excited to see where this movement grows. So excited to see this development and the amazing impact you are making. Als0 – fabulous site, Julie!